If you’re a craft beer drinker (and who isn’t these days) that lives, works, or travels northwest of Boston along Route 3, you probably know that Lowell is your only option for enjoying a freshly brewed beer at a brewery or taproom. Developers David Guthrie and Chris Finneral want to change that. 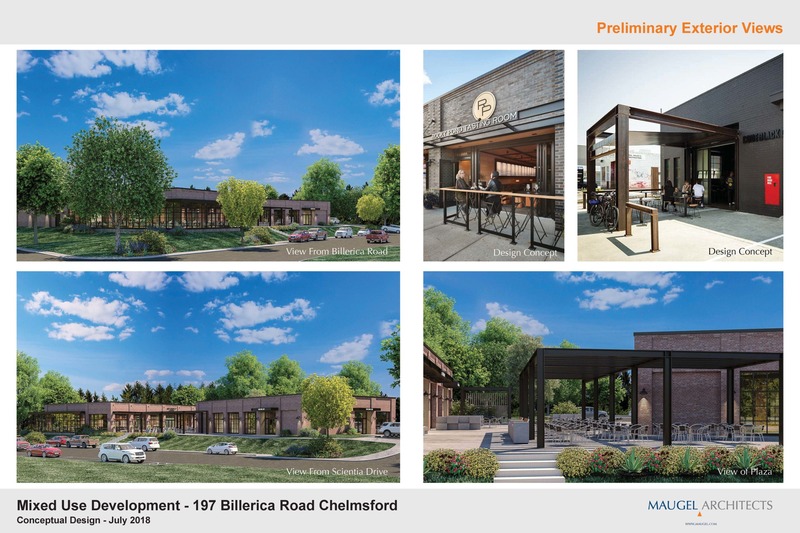 They envision a pub style brewery in a newly approved upscale retail development called CrossRoad’s At Rte 129 in Chelmsford. Strategically placed between Routes 3 and 495, both major highways, and surrounded by more than 275 corporations with 7,500 daytime employees, the location seems ideal. 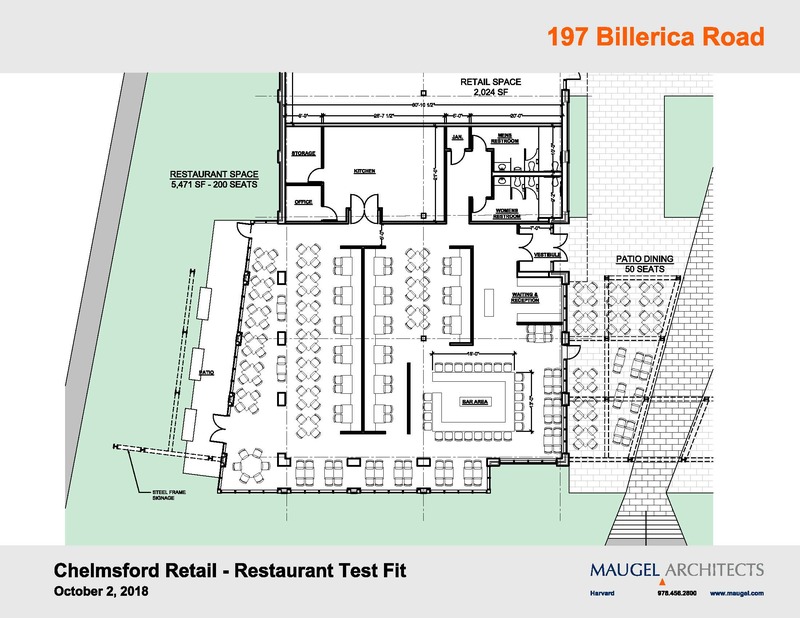 The town recently passed a zoning overlay that clears the way for restaurants and other amenities to become the project’s centerpiece. Joe Ready, the real estate broker representing the project, thinks Chelmsford is a perfect community for a brewpub like The Tap in Haverhill, or a brewery with its own restaurant, like Jack’s Abby in Framingham. “Many in Chelmsford have disposable income and are tired of traveling to Burlington or Boston to find good food and drinks,” he says. Also the co-owner of a craft beer package store in town, he’s seen the growing demand. “Our business exploded two years ago when we opened here, in part because sophisticated beer drinkers in town are looking for quality, locally made craft beer.” Aside from Lowell, none of the surrounding towns, which include Tyngsboro, Billerica, Carlisle, and Westford, have their own brewery either. The 129 Corridor offers a unique advantage to a brewery with its own restaurant because the area’s daytime employees are looking for a lunch spots to eat at with co-workers or a place to conduct business meetings at with clients. The typical travel required for most lunch spots in the area is time prohibitive and businesses have long sought more amenities along route 129 according to Ready, who says the afternoon crowd is seeking a place to unwind after work and enjoy a few laughs before heading home. The close proximity to several upscale housing developments and a population of over 35,000 in Chelmsford alone should make it an popular venue for locals who want dinner or evening drinks as well. “A brewer’s treasure” says its developer, the CrossRoads at 129 Project offers high visibility, easy accessibility, and plenty of parking. 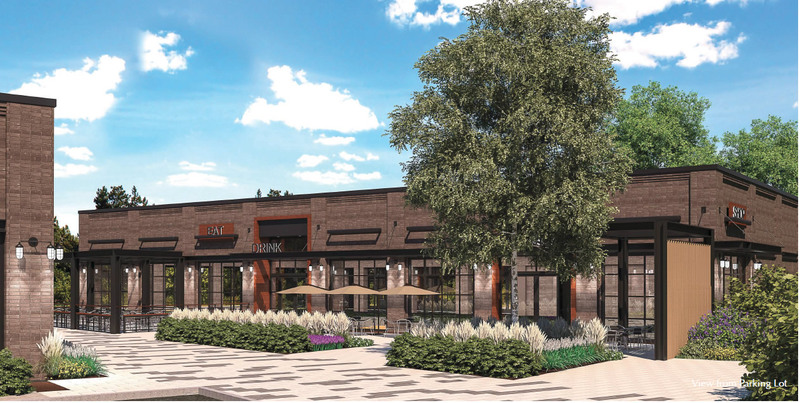 The development includes outdoor seating, professional landscaping, and an inviting ambiance according to Ready, and will be breaking ground soon. That should give a prospective brewery ample time to design an interior space that fits their image or aesthetic. Concept plans currently have the brewery/restaurant space at just under 5,500 square feet, with a seating capacity of 200 inside and an additional 50 in the outdoor patio area. The developers have partnered with Daniel Barton of Maugel Architects as well as Engineer and Planner, Katie Enright of Howard Stein Hudson, both of whom are well known for creating exciting, successful and sustainable projects.